Last December, Kala and Karin went on a road trip with 6 friends from abroad. 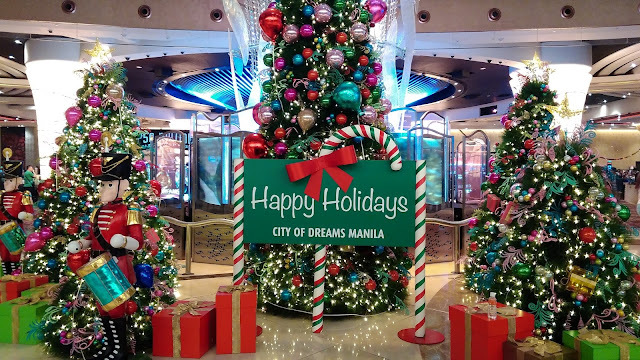 We took them on a mini-tour of Manila then the next day, our first out-of-Manila destination was Tagaytay. It was cold and foggy but we were rewarded with enough sunlight to take decent pictures with our friends. View of Taal Lake and Volcano from Leslie's Restaurant. A refreshing site from the hustle and bustle of the city, our friends had fun picture-taking and enjoyed lunch in the area too. 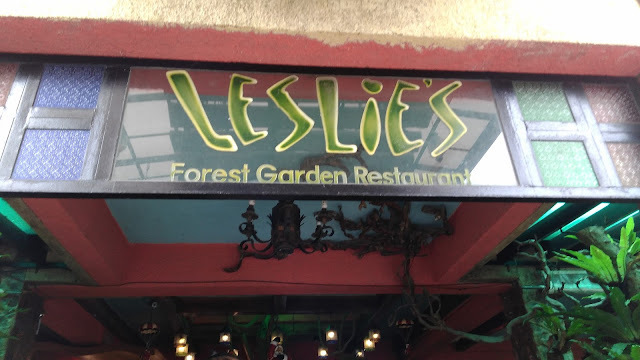 We went to Las Pinas afterwards and to Fort Santiago as well before calling it a night off. Warning: This is going to be full of pictures so if you like that, then click the link for more. The day before the trip, we waited for their arrival at the airport and took them to a buffet lunch. We then dropped them off to their accommodation so they could freshen up and drop off their luggages. 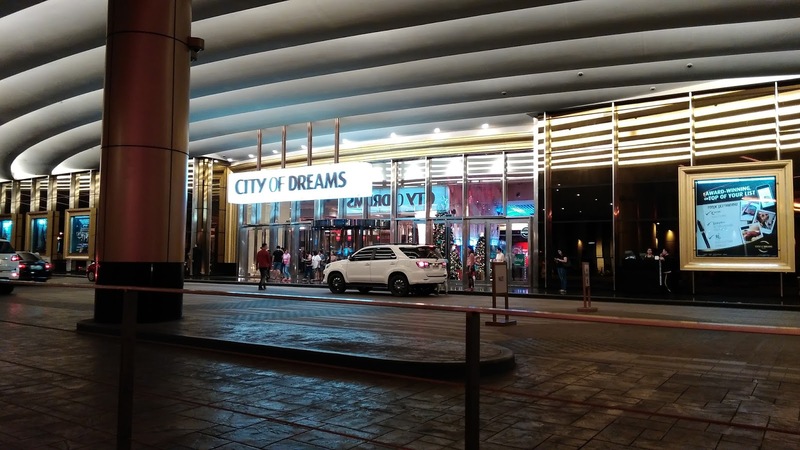 Then they explored some shopping and entertainment places in the city. Sarah and me waiting in the van, for our friends to arrive. Our friends having late lunch at a Yakimix buffet. L-R: Ms. Kit, Sir Yap, Sir Jon, Ms. Alice, Ms. Jane and Sir Sing. Since we had an early call time for the next day, our last stop for the day was The City of Dreams where they had their dinner and enjoyed some of the games in the casino. The holiday decor that greets guests once inside. 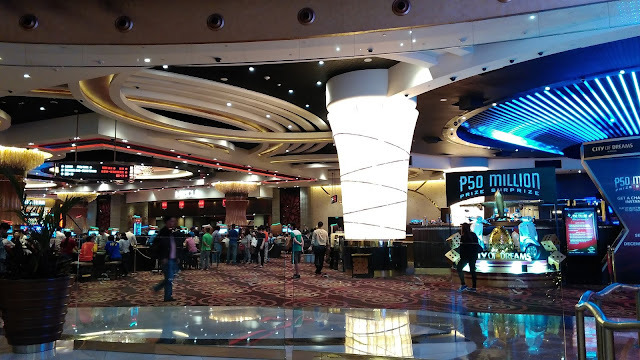 A snapshot of the dining and casino area. 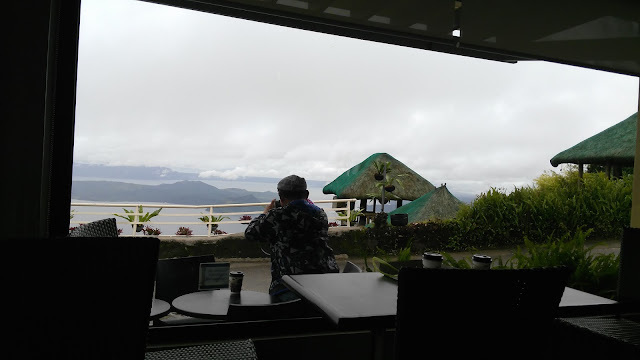 The next day, we headed for Tagaytay where they bought some souvenirs along the way, had a taste of buko pie, took some pics of Taal lake and volcano, and enjoyed the view some more while sipping their brewed coffee. Getting there was slow as it was very foggy and the roads had almost zero visibility but it was worth the long drive. We headed to this resto because of its good view of Taal lake. 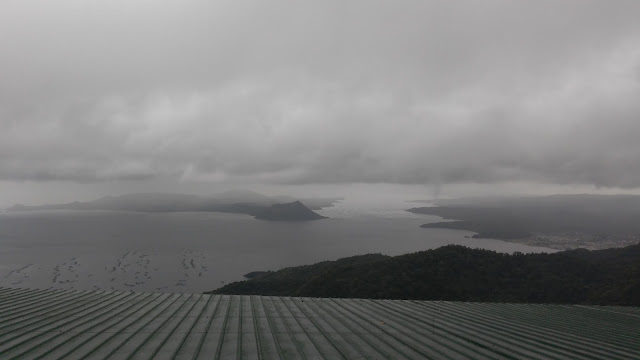 A foggy view of Taal lake. 2 adventurous couples posing for a pic. Our sweet couple also had their picture moment. Sir Yap pointing out the small volcano crater within the lake. Enjoying some brewed coffee in the cold weather. They also bought us coffee and shared with us the buko pie that they bought. Here's a candid shot of Sir Jon taking pictures. After admiring the scenery, we headed out to look for lunch and ended up at Balay Dako restaurant. But along the way, they also enjoyed tasting some fruits at the fruit stalls we passed by. We left the friends to enjoy their lunch while the rest of us looked for lunch in another place. We fetched them after lunch for the ride back to Manila. Gienes, Sarah and me taking some time to pose for this pic. 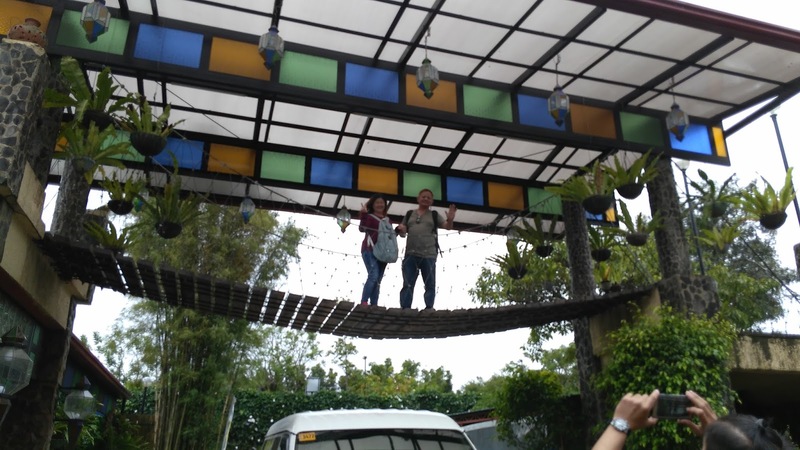 Our sweet couple taking pictures on the hanging bridge outside Balay Dako resto. 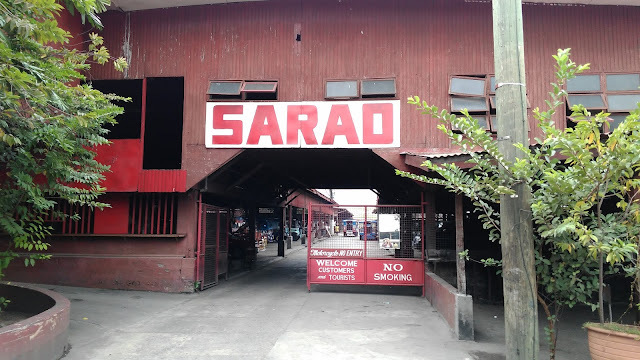 We headed back to the city after lunch where they visited the Las Pinas Bamboo Organ and the Sarao Motors compound where our famous jeepneys are made. Entrance to the Sarao compound. 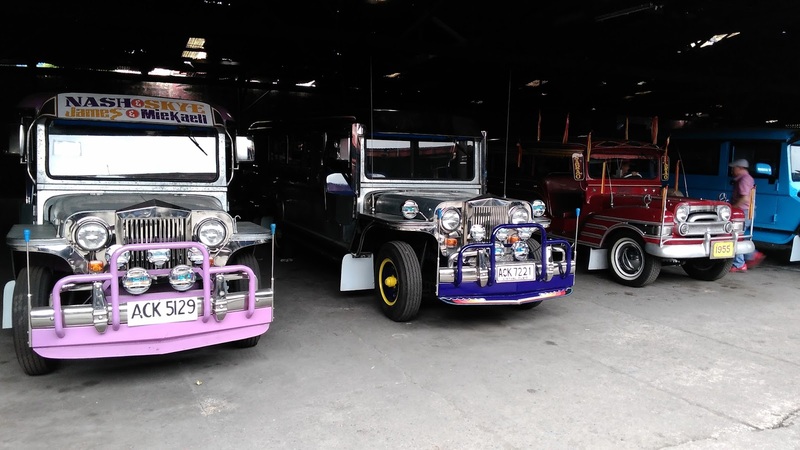 Some of the jeepneys on display. After the tours, we took them to Barbara's Heritage Restaurant in Fort Santiago for dinner with a cultural show. We didn't go in with them so they can enjoy the show themselves and we just fetched them right after. The staircase to Barbara's Heritage Restaurant. Seated for dinner while waiting for the cultural show to start. Posing in front of the mall after a little window-shopping. We ended the day with a mini-shopping tour at Lucky Chinatown Mall where they looked for some souvenirs. They didn't find some items that they were looking for but there were plenty more places to shop for souvenirs on our next destinations.